Have you ever had situation where you wanted to vape so badly but your eGo clearomiser won't lit up? but your frustration fires and shoots through the roof? Well have found solution to that problem and end to the questions for good. We are pleased to annouce CE6 V4+ - which has an internal self regulating floating central core which maintains direct contact with your eGo batteries terminal. Fully rebuildable (Changiable Coil head). New improved mid wick coil structure. Feature: No leakage, No burnt. New spring system to avoid mis-firing issues. Outstanding flavour and hure vapour not found elsewhere. Each atomzier last upto 800 Puffs. 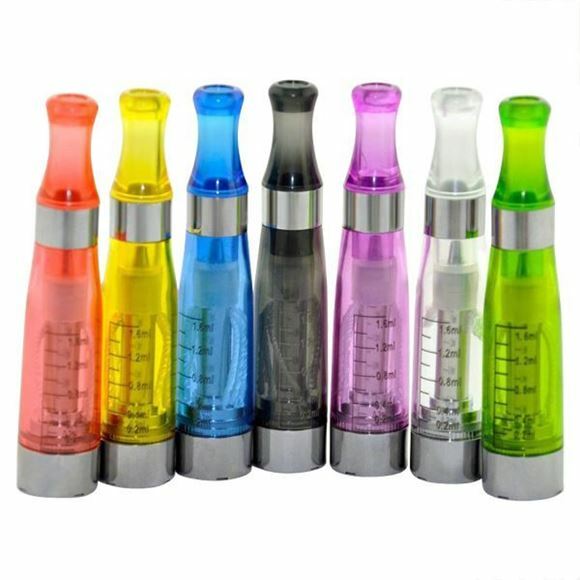 eGo CE6 V4+ Clearomizers are the newest innovation of our CE6 Clearomizer product line and features a changeable Clearomizer Head System. CE6 V4+ Clearomizers are built to disassemble into four parts (Botom Base, Tube, Head, and CE6 Drip Tip Mouthpiece) which makes removing and replacing your Head quick, simple, and very cost efficient. The 'Head' contains the heating coil and wick assembly and is available is various resistance ratings. These Clearomizers do not use any filler material or poly-fiber and can store up to 1.6mL of your favorite E-Liquid inside it's reservoir. eGo CE6 V4+ Clearomizers are made from a transparent and highly durable plastic that has graduated measurements which makes filling/refilling a very easy process. Easily fill / refill without the need of a syringe by simply unscrewing and removing the drip tip which allows you to drip E-Liquid directly inside it's reservoir. eGo CE6 V4+ Clearomizers can produce huge clouds of vapor, has excellent flavor, and a great like-smoke throat hit!